How to Respond to Parkland? Like many of you, I have been shaken by what happened in Parkland, Florida on Wednesday. Three faculty members died in the horrific attack—at least two of them while sacrificially protecting their students. Coach Aaron Feis died using his body as a shield to protect his students. Social Science teacher Scott Beigel died outside a classroom locking the door, saving the students inside. We don’t know yet how wrestling coach and Athletic Director Chris Hixon died, but we know he served in Iraq, and was loved by his wrestlers especially. While we grieve for all victims and pray for their families, we take comfort that these educators lived out Jesus’ high calling that “Greater love has no one than this: to lay down one’s life for one’s friends” (John 15:13). We honor them today. I am sure that other stories of heroism will emerge out of this tragedy. Honestly, I have also been shaken by the seeming endless cycle of these horrific shootings. It feels as if the national patience for typical responses to these events has run out. Lord, please, make them stop! As Christian educators, many of us in the public schools, we are in a uniquely frustrating position. We know that the answer to this crisis is ultimately spiritual, and yet those answers are typically excluded from the public square. Like almost all perpetrators of mass shootings I have read about, the alleged shooter in this case described demonic “voices” in his head instructing him how to carry out the shooting. While there are important mental health issues that we as a society must address, we will never fully address this crisis without a spiritual solution. When I grew up, spiritual warfare was placed in the context of “stuff that happens on the mission field.” However, spiritual warfare is here, and it is having devastating consequences in our schools, and not just from mass shootings. As Christian educators, we need to be equipped for spiritual battle. So how can we carry out spiritual warfare on our campuses? Prayer is a key weapon. Could you partner with a church, parents, or other educators to prayer walk your campus regularly? If no one will join you, will you do it by yourself? I often tell the story of a principal who prayer walked his campus alone every morning except for one—which turned out to be the day the only fight happened all that semester. Will you gather with other educators to pray at lunch, or before or after school? Will you seek to partner with churches and campus ministries, using your position as an educator to make it easier for them to be on campus? There are many schools that still don’t have Good News Clubs or Christian clubs. I know you are busy, but the stakes are high. Our society seems of the verge of exploring other measures to address this crisis that may limit our freedoms and not really solve the issue. The church needs to wake up. We are the church in our schools. Let’s get to work. Let’s pray. P.S. I know many of you are already doing this. I’d love to hear your story below. Also, please share prayers for our schools and nation in the comments as well. Awesome idea. We just started a Fellowship of Christian Athletes (FCA) club at my school. I will bring up the idea of a prayer walk at our next meeting, and I will share your note above. Thanks Jack! Lord, bless this new FCA group and pour out your Spirit on all those involved! Take ground from the enemy on this campus, in Jesus’ name. Yes Good News Clubs could be in many more schools if we had more Christians who will. Volunteer. other ways to come alongside teachers helping children. Volunteering in Boys and Girls Clubs or helping with Guardian Ad Litem could provide ways to help children who might be struggling in school or facing challenges in their families. Sharing love of Jesus with actions. Yes, great ideas! There are so many people who can be activated for ministry in public schools. Thank you for this article… I am forwarding it to many. There are a few of us that gather to pray every morning in my classroom. I like your idea about walking the school. Thank you for your faithfulness! Go for it Vicki! I pray the “Power-Packed Prayers for Public Schools” daily and have for several years now. Wednesday, was 2/14 so the prayer was “Violence – “Lord, stay the hand of violence against the children and staff of this school. Dismantle any plan to bring harm to them. Expose any weapon brought onto the school premises and render it harmless” (Psalm 34:7, 57:1) I must confess I have been using this book-marker as a prayer for years and all too often I just repeat the words. Wednesday, was different. I was reminded not only of my school, but our grandkid’s school, friend’s grandkid’s school, neighboring districts, relatives’ schools in other states. It got to the point that I began saying to God literally, “No, not today. Please God – No” I felt like I was Abraham bargaining with God. Please not our schools, not schools in our county, not schools in our state of Ohio. Finally, on my way to school I was still bothered by this prayer and said God if it has to be let it be south, far south. I share this to remind myself and others that the prayers we pray annually, monthly, weekly and especially daily are being heard by a loving and gracious God. We are in the middle of a war. Let’s continue to contend for our schools. Thanks for your prayers Debra! God is working! I just called a prayer meeting on Tuesday before the Wed. Shooting. We had 2 teachers praying for 10 min. and expect to have a few more next week. Please pray for teachers to respond and come. Thank you for your important words! Bring them Lord! Susan, are you coming to the SCCE Gathering on March 3? Bring your colleagues too! Deeply suddened by the incident of shooting in the USA, we in Kenya are also moaning the killing of three teachers by the Alshabaab terrorists. I believe prayers would help. I am so sorry to read of that. We will pray for all of you. Please visit the below link to hear and see Dr. Ravi Zacharias of RZIM pray for Parkland, FL. Sorry, the link is https://www.youtube.com/watch?v=lb4vuzNj2t8. I teach 4th grade in a rural community in Missouri. We have teachers who prayer walk our hallways every morning. I sponsor a Prayer Club for third through fifth graders every Thursday morning and typically have about fifteen students. We use a clipboard for prayer requests and then gather in a circle to pray. These students make Valentine boxes for those who may not have one, make Christmas cards for the children’s hospital, and Valentines for veteran’s hospitals. They are embracing the gift of giving. Through the years, there have been administrators who have questioned this Club, but continue to allow it in our public school as long as I don’t lead the group and we meet outside the contracted day (before school). Our public schools are definitely under attack, but peace abounds when prayer covers our kids. I love my job❤️! Back when I taught middle school full time, I sponsored an after school prayer club as well. It was the highlight of my week every week. I am very happy to read of your club. Keep it going Lori! We are so proud of you! In my parents’ day and age, the American people were armed to the teeth, just like now (and that’s a good thing). And yet, NOTHING like this ever happened in any school back then. Why? Simple. We lived in a society that was Christian based. We had VOLUNTARY prayer and Bible study in public schools. Nature abhors a vacuum. When you kick God out, the devil steps right in. I read a comment on a news story last night about the shooting, where a student supposedly wrote in to her local paper asking why does God allow such terrible violence in our public schools. The answer she got back was: “Dear student: I am not allowed IN public schools. They kicked Me out many years ago. Sincerely, God”. As an educator in a public school I see God everyday in the lives of students. I see kids holding hands and praying in the morning and I hear students freely talking about their faith openly in class! God is everywhere! The difference between now and when our parents were growing up is the number of military style weapons available to the public. This started in the late 80’s and 90’s and our Republican leaders have failed us and literally sold their soul to the NRA Lobby by lifting the assault weapons ban. What I hear students say is not only “Where is God?” but “Our government has failed us”. I will be praying for our Christian political leaders hearts to be broken enough to sacrifice a much too long held political stance even if it costs them an election. Kids want those in the faith based community to not only pray but take action as well. As Christians we need to come together and recognize that without certain sensible laws then our other freedoms are in jeapardy. I will also be praying for all assault weapons to be taken from this land. True Carin. How can we be a part of bringing God’s presence back into our schools? Thank you for going straight for the jugular on this issue, and for taking strong leadership as a veteran of the trenches. Video of how we got to fundraise and show love this week – love In action…parents, teachers, and students packing food…felt so good to have a love outlet, esp during a week of tragedy. Appreciate Lisa! I love the video and the work you are doing being salt and light! The problem with our society is that Christ has been removed from our schools and our entire society. No one who believes in and has accepted Christ would believe that human life was so valueless, be it school shootings, train stations, or abortion clinics. But Christ MUST be removed from our society to make way for the Anti-Christ to rise and take over. Even if that’s actually the way it works out, let’s take as many with us as we can! Christ calls us to keep fulfilling the Great Commission until he comes back. It does look like we’re going to get to experience more of what the early church experienced. May we be found faithful as they were. Prayer works! A couple of years ago I had a very frightening dream that a couple of guys had sneaked thru a side door into the school where I teach with the intent to harm people. It was vivid enough that I called another praying friend (who also prays passionately for schools) and we prayed over this dream a lot. A few months later, two gang members sneaked into my school thru a side door and were wandering around the halls looking for someone. Two alert teachers recognized them and realized they were there to attack a student who was part of a rival gang. They acted quickly to call for a lockdown. The gang members panicked and ran out the door without hurting anyone. Police later apprehended them. I do believe the dream was a warning from the Lord to start praying about this plan of the enemy to harm our students. One of the two students who “happened” to see the gang members in our school is a strong, praying Christian, and I believe the Lord put her in the right place at the right time. Prayer works! We just need to be listening to what God is saying and take action when He says to pray! Thank God for His warnings! Praise the Lord for his prophetic dreams. Lord, use whatever means necessary to protect your precious ones, and may we be faithful to pray and act when you reveal yourself! Thank you so much for sharing this story. Thank you for your words of encouragement. I am a new member to this organization and have already found strength in my fellow Christians and the news from this organization. We are praying for you in Florida and all who have suffered in recent years from similar tragedies. It hits all educators at every level in some way, shape, or form. We have lost at least one student a year to unexpected tragedies of various kinds at our high school in Kansas. Even one life is too many. I LOVE the idea of prayer walking the halls and I will begin doing this myself and share this with as many who will hear of this idea and join me. Thank you Lord for your faithful servants everywhere! God be with you all!! Glad to have you Gina! 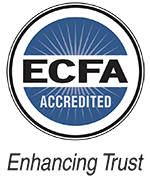 I am so encouraged to hear that you are finding support and encouragement as a member of CEAI. Yes, even one is too many! May the Lord bring you partners as you step out in faith to prayer walk your campus! One day in my 7th grade class I noticed a student passing a note to another student. After class, the Lord told me to check the desk of the student who received the note. That was strange because I never checked student’s desks. I followed the Lord’s guidance and discovered the note which said he would be bringing a gun the next day for him. I was not afraid of the boy who was bringing the gun but I was very much worried about the boy who was to receive the gun. I took the note to the principal. The next morning, the principal met the bus of the boy who said he would bring a gun. He had a gun in one pocket and bullets in the other. Praise the Lord for God telling me to search the desk and for the principal to get the gun and bullets before it could be handed over to the student I feared who was to receive the gun. We never know how the Lord will use us. Wow, such a powerful story Deanna! I love hearing from our longest-term CEAI member! I will be using this story when I speak and write if that’s ok with you. Blessings! home. God answered my prayer. No harm was done to my home. God is so good. I started teaching Geology to the neighborhood kids on our walk home from school along the dirt roads of the time while pointing out the water erosion formations along the side ditch. I don’t know why I did not recognize that as a possible vocation. I had my mind focused on other professions. Later in high school I was asked to substitute for the math teacher for part of a day with full support from the administration. Still did not recognize it. After failing the college path I HAD chosen, I entered and completed professional educator training and went on to a 32 year public school career as a classroom teacher. I had even considered Christian ministry as a pastor. But I was half way through my classroom career when a friend, a private Christian Elementary Principal asked me to be on his team of prayer supporters and later told me I was of greater service than he to the Lord’s work because I was on the front lines of mission being in the PUBLIC Schools, whereas he only served those who were already Christian. (not quite true, but that IS what he said. From that time on, I truly thought of myself as being called by God to be a public school teacher. From that time on, I looked at every new student I got as either placed with me because he/she was to be a part of a lesson on life that I needed to learn or that he/she needed a special lesson on life from God through me. I heard about CEA (did not have the capital I yet) and joined a chapter in a nearby larger town. That chapter did not last all that long, but it lasted long enough for me to gain valuable spirit filled lessons on life, my personal life and for specific students lives. I have many many stories of impact on me personally or through me to various students and staff and parents, with the messages of Christ. Maybe I can share some of these from time to time. But one comes to mind just now. I had a 4th grade female student who was very smart but not really well behaved. I was due to have a parent conference during the time when we met with all parents. Both mom and dad showed up. They were both distraught and near to crying. I immediately sensed this was not to be an ordinary conference. It turned out that the mom had been considering suicide that day, so the dad came along with her to try to prevent that from happening. My conference regarding their child turned out to be a Christian counseling session with two hurting adults in a public classroom during publicly paid time. The conference went way past time, We were praying together. We all got through that conference, they started going to a Christian church, they became prayer support for me and I for them. Their dhild shaped up. I rescheduled the actual parent conference and the others that had to be postponed because ot that day to my own unpaid time. By the end of the year, they had requested and insisted that I be their next child’s teacher. I was due to get their 3rd child, but retired the year before that would have happened. It was not long before that first daughter found out what really happened that day and soon thereafter years later, came back to thank me. but it was entirely an act of God. During my last 4 years of paid teaching I became a member of a private Christian school board and after I retired, spent two years as their board chair, writing budgets, acting as spokesman for the Board including hiring and firing staff. (One time, I had to bring the news to a very dear Christian family friend that the Board was letting her go. Here 18 years later she and her husband are still a part of my and my wife’s lives and she acts as a mentor for my wife in being a successful substitute teacher. God Heals. Wow, what a story David! I love it! Thank you so much for sharing. May the Lord continue to use you mightily in your retirement! Prayer is the weapon and key in this battle. We have a Good News Club at our elementary school and God has a good work to accomplish at our campus. We are blessed to have a local church step in to partner with us and volunteer at this club each week and will trust in God to bring more students to the club and let His light shine. To God be the glory! Yes, we love Claim Your Campus and love Jeff! I got to hang out with him and his wife in San Antonio a few weeks ago. We are planning to participate in Kansas City in 2020!